While the Feds, the state government, and opposing citizens are big issues for marijuana merchants, the California Marijuana Legalization Legislation may have inadvertently delivered a new issue for merchants to deal with: the balance of business versus public health. 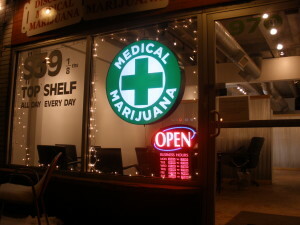 Apparently their promotions are for new business measure, without any effort to educate the public about marijuana. While this is something that should be corrected, it could lead to even bigger issues when marijuana merchants look for business funding. A researcher at the UCSF Center for Tobacco Control Research and Education concluded that “the Dept. of Consumer Affairs and dept. of Food and Agriculture showed more attention on collaborating with the marijuana industry and business development and paid less attention to the effects on public health or to controlling the growth of a large marijuana industry similar to the multinational tobacco industry”. Unlike other products, marijuana merchants are not experts on the substances that they are selling, and it is important that the state educate merchants and consumers. This issue could make it harder for local lenders who want to support marijuana businesses. Banks are usually the worst place to look for marijuana business funding, because banks are controlled by the Feds. The Feds consider marijuana in any amount to be illegal, even though twenty-two states have legalized it in some form. For many legal issues federal law trumps state and local law, so banks are hesitant to hand out loans. Bank loans are always not the best idea for business funding because repayments are not merchant-friendly. With a bank loan, payments are due almost immediately, and even if your business fails, you must keep up payments, or risk forfeiting your collateral. This can quickly damage your business if you miss a payment, as well as your personal credit. Business funding is different. With business funding, the amount given is not a loan but rather an advance on your future sales. Payments are not taken in one large sum every month, but rather in a set percentage from your everyday sales. This helps you stay on top of your payments, and helps you avoid default on a hefty loan. Contact us for Marijuana Business Funding today! This entry was posted in Uncategorized and tagged Marijuana Business Funding, Marijuana Merchants by admin. Bookmark the permalink.